Open concept living is all the rage. Not only is this setup great for entertaining, but it also makes small spaces feel larger. And while this floor plan really lends itself toward a modern aesthetic, it works beautifully in traditional and transitional interiors, too. 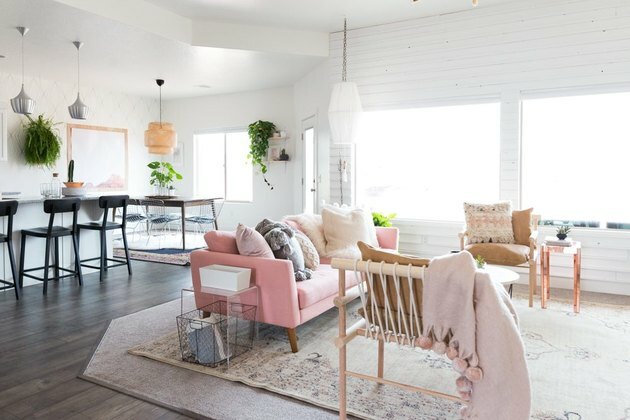 Take a gander at these 11 Insta-worthy open concept living rooms that will convince you to start knocking down a few walls. 1. Create a cozy environment. 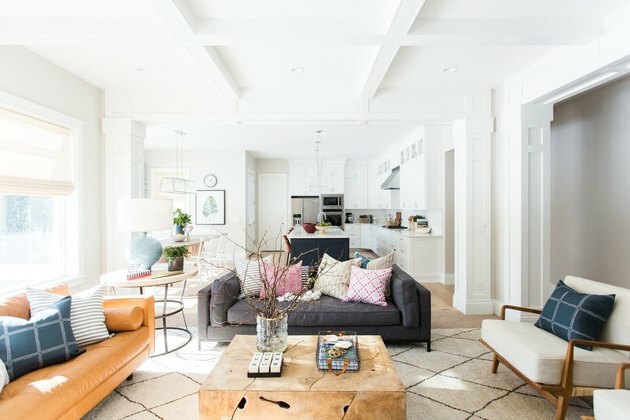 This chic Seattle condo's living room is totally charming. By positioning the couch and chairs toward one another, interior designer Brian Paquette crafts a cozy environment that's ideal for socializing but not closed off from the rest of the house. 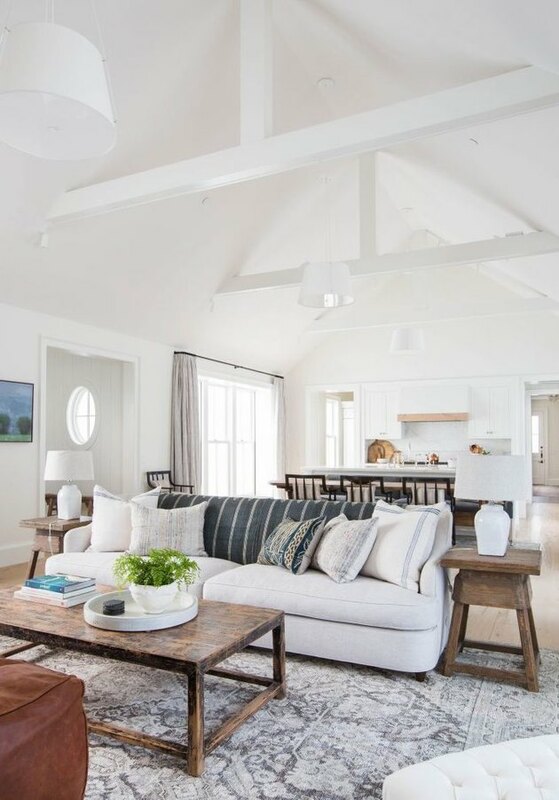 The cathedral ceilings in this bright space designed by Amber Lewis are undeniably striking. Though, what we love most about this abode is the flow. The layout is terrific for keeping an eye on the family. And, once the kiddos are asleep, it's the perfect spot for grown-up gatherings. 3. Let in lots of natural light. If you're already undergoing a small reno project (i.e., removing walls), why not add windows, too? These floor-to-ceiling showstoppers really brighten up this modern farmhouse designed by Shea from Studio McGee. 4. Stick with a cohesive palette. Without separation, design continuity becomes even more important. The mellow hues and natural wood in this updated open concept living room belonging to Geneva Vanderzeil from A Pair & A Spare continues right into the kitchen. It's perfection! 5. Utilize leafy plants as dividers. The only roommates we want? 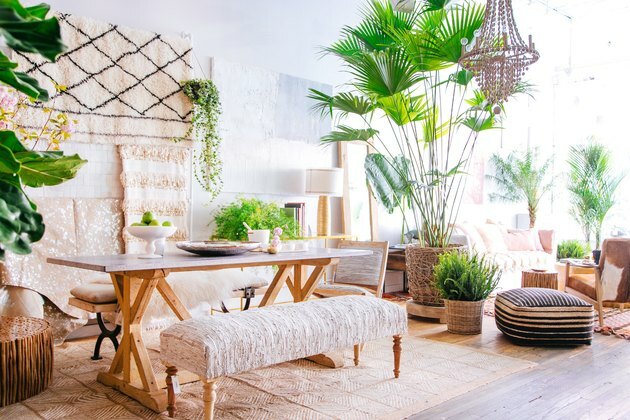 Lots of plants like this verdant living space designed by Dabito from Old Brand New! Leafy friends detoxify the air, look super lush, and even serve as a visual divider in wide-open spaces. Love throwing parties? This stylish open concept setup is a dream. With living, dining, and cooking all open to one another you won't miss a moment of your next shindig. 7. Bring vintage to the foreground. 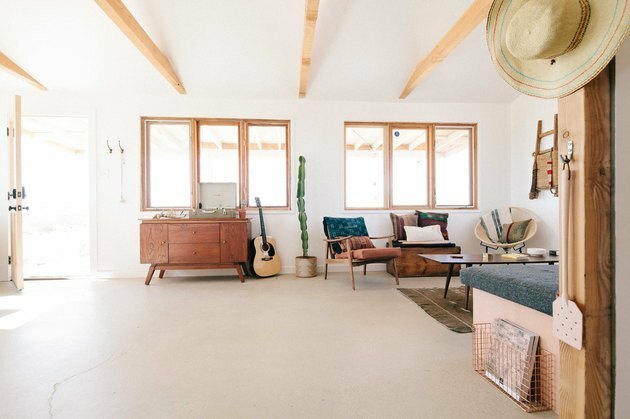 This Joshua Tree cabin typifies that sun-splashed desert lifestyle. Douglas fir beams imbue a sense of place, while original concrete slab flooring and midcentury pieces speak to the home's 1950s soul. 8. Choose deliberate focal points. 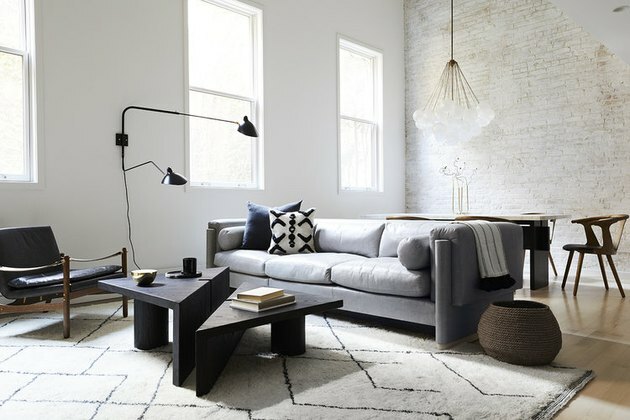 Eclectic with a hint of retro charm, this open concept living room designed by Jean Stoffer combines function and fun. 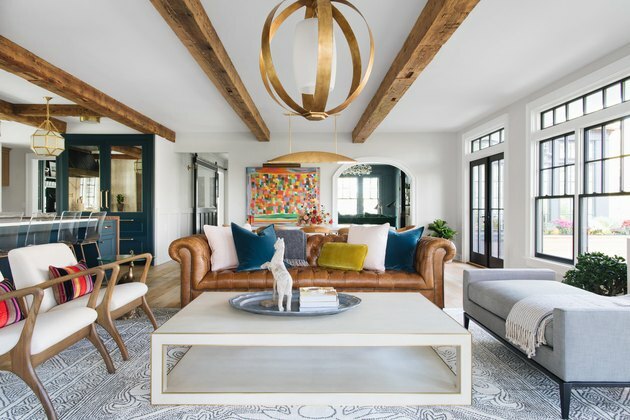 The brass pendant lights and colorful artwork make a lasting statement. Walls can make tight quarters feel even more cramped. 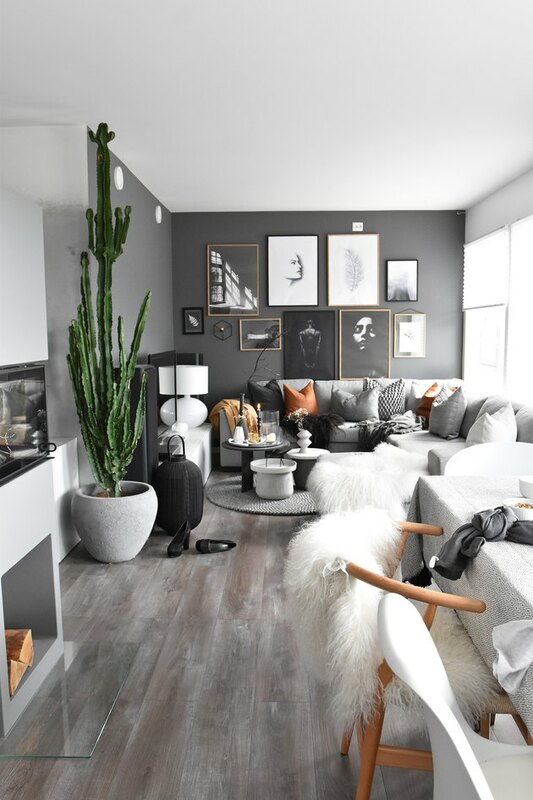 Knocking down enclosures yield a unified loft-like space that's comfortable and usable à la blogger Maren Baxter's dreamy gray refuge. 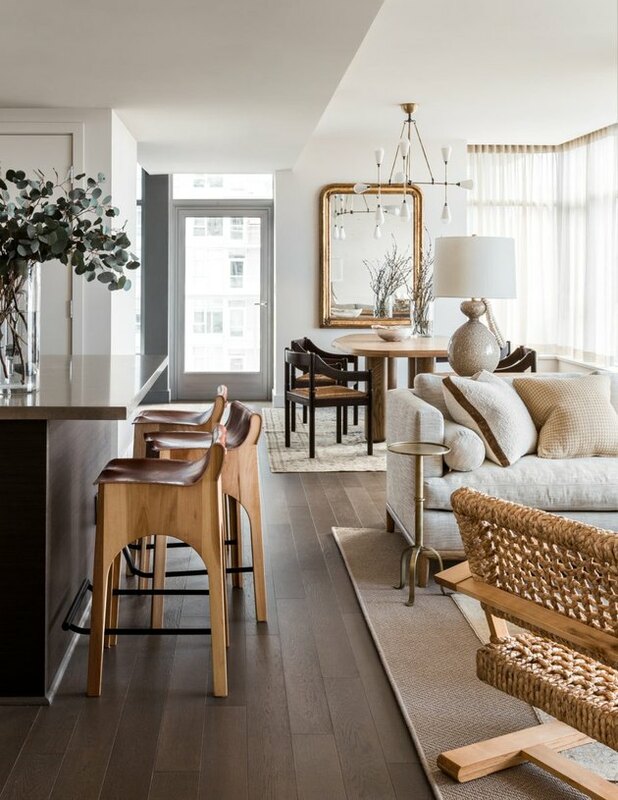 Contemporary light fixtures are definitely the stars of the show in this lofty Manhattan abode. The team over at Nune kept the open concept design minimal, adding warmth and texture with a few carefully selected pieces to round out the space. 11. Don’t shy away from color. Layered rugs, vintage furnishings, and cozy throws are super inviting. 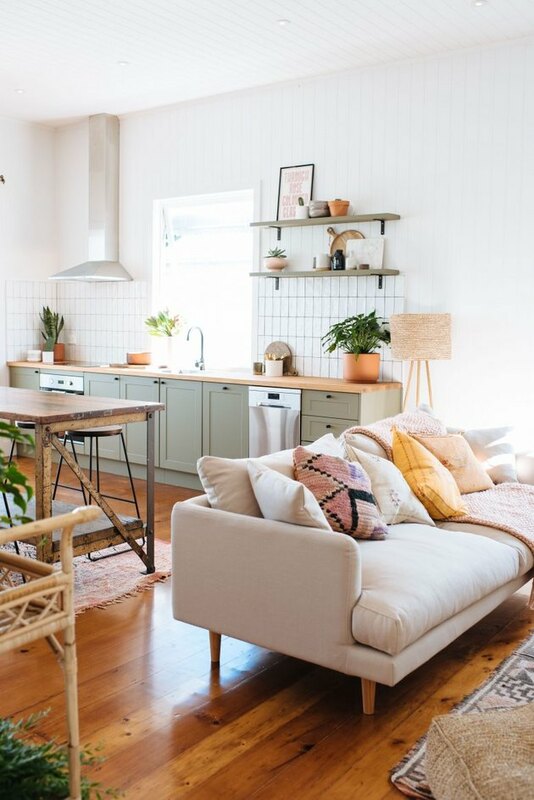 But this pink living room designed by Mandi from Vintage Revivals doesn't just look pretty, it's also practical with direct access to the kitchen and eating area.